I will forever remember the phone call. The news was that I had invasive ductile cancer. Whatever that meant I thought to myself, as I sat listening, numb, and in a daze. Two tumors. One quite large. Soon I would be hearing from a surgeon to discuss my options, which would most likely include some combination of chemotherapy, surgery and radiation, she said. The woman mentioned some statistics. I tried to write things down. It was a lot to digest. Still, it was one of those moments in life that remain vivid in your memory for years to come. The kind of moment that is etched in your mind down to the very last detail of where you were standing and what you were doing when this giant, life altering thing came to pass. I remember it in the same way I remember exactly where I was standing and what I was doing when I watched the Twin Towers collapse on 9-11 and the world forever changed. Except this time the life changing event was vastly more personal. I was home with my then one-year old son, Aidan. We were sitting on his bedroom floor playing - having a perfect, peaceful morning. The kind of morning I had come to treasure. When I started crying, Aidan, never having seen his mother cry, first started giggling. Then he became very silent, not sure exactly what was happening. I sat in front of him lost in a whirlwind of thoughts – what about Aidan? How will I, as a single mother, battle cancer, go through chemotherapy, and take care of a toddler on my own? How will I continue to work and pay my monthly, mountain of bills? Will I have to move out of my house and go live with my family? For someone who had been a single woman living on her own for years, the thought of giving up my own space, my freedom, my home, my independence, was hard to digest. Those thoughts continued for days, until my head ached from thinking so much. I had always been fiercely independent, probably to a fault. Yes, definitely to a fault. An only child, I learned to survive on my own in many ways, never comfortable asking friends for help. I’m not the touchy feely type. Instead I learned to build up walls and get by. All of that was months ago. I have learned so many truly important lessons since then. Most importantly, how to let the walls down, reach out to the people who love me and let them help me. I cannot stress how important this is. You can’t do this alone. You won’t do this alone. But you can do it on your terms. There have been several turning points in my journey with cancer so far. But one that opened my mind tremendously was a telephone conversation with the executive director of a national non-profit developed to assist women who have cancer. That message is so important to pass along. After that I slowly began to change my ways. It’s so important for single moms out there to do this too. As a single mom you quickly learn to rely on yourself in ways other people don’t always understand. And those skills will help see you through this battle too. But a battle with cancer is not something you can do entirely alone. Nor should you. You need people on this journey. They will help you survive and heal – and win. Build your support team. Learn to reach out. Learn to pick up the phone and ask for help. It took me some time, months perhaps, but I have slowly done it. Endless Acts of Kindness and Support. As I look back over the past few months, I’m profoundly touched by the endless stream of kindness, support and love. Each one teaching me to stop being so stubborn as a human being and learn to allow my friends and family in. These gestures have also taught me how truly important it is to have such a network of love and support. In the earliest days of my diagnoses, my friend Hildegard hopped on a plane and flew down to San Diego to spend 24 hours cooking for me and stocking my freezer with carefully chosen, healing foods that I could defrost and cook during my daunting chemotherapy treatment. Not long after that my friend Jessica came over with an entire bag of thoughtful, cancer-fighting gifts. Two giant containers of homemade pasta, coconut oil to help with my terribly dry, chemotherapy-weakened skin. And a bag frozen pineapple to put in the smoothies I would need to drink, in order to fight this battle. Throughout all of this, my dear friend Shannon persistently reminded me that she was happy to help, in any way she could. Finally, in small ways, I started relenting. Asking her to come over and cook dinner for me when I was exhausted by chemo. Or to just come over, climb up a stepladder and change a light bulb for me on her way home from work. Yes, even simple tasks like these become just too much to handle when chemotherapy has wiped you out, leaving you with dizzy spells, bouts of nausea and body aches all over. All of these women have taught me the true meaning of friendship. And there are countless more examples. Family members sending me prayers, prayer cards, shawls blessed by nuns and expressing their love in multiple ways. Friends, like my old college roomate Liz, calling me practically each week just check-in and tell me she loves me. Between my conversation with that executive director, and such persistent, loving reminders from too many friends and family to list here, I'm a changed person. I remain living on my own with my son, but I am a humbled person. Humbled by the love of my family and friends who were so willing to help, happy to help, eager to help. They have made such a difference in what I am able to accomplish. They have given me the time, strength and energy needed to get through this. I started small. But I have learned to text or call my friends and family to ask for assistance in ways I would have never asked before. You can too. Recently I watched an interview with another breast cancer patient on television, journalist Joan Lunden. When I heard she was coming on to speak about this subject, I stopped everything I was doing, and sat down and listened intently. “We’re losing our hair in order to live and survive. In order to be there for our families,” she added. True indeed. Some days lately, I look in the mirror and think to myself – who is that bald person staring back at me. I don’t recognize that person in the mirror anymore. But I spend less then a minute dwelling on such thoughts. I focus on exactly what Lunden said – it is all about surviving to be here for our families. As a mother, I initially worried about how Aidan would react to my being bald, how would he feel seeing me without the long, soft hair he had grown to know me with during the first year of his life. Aidan hasn't been fazed at all. Sometimes he will lean in and hug my bald head. Or pat it with his hand. It doesn't matter if I don't recognize the woman in the mirror. He still does. I am laying awake again tonight, as I do on so many nights, with hot flashes from the latest round of chemotherapy. But I am thinking good thoughts. I watch Aidan sleep and think to myself - next week Aidan celebrates his second birthday. And I am still here. That’s all that matters. 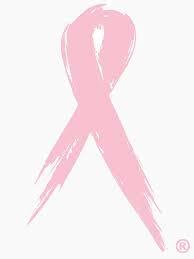 It’s heartbreaking to think that millions of women still have to face this battle with cancer and the fear of not being here anymore to go through life with their loved ones. In 2014 alone, 40,000 women in the United States are expected to die from breast cancer. But October is national Breast Cancer Awareness month. Most of us are already very aware of breast cancer’s existence by now. What’s far more important at this point is turning our energies toward finding a cure. The National Breast Cancer Coalition recently announced that it is working to change the conversation around breast cancer from one of raising awareness to actually putting an end to the disease. The coalition has taken the incredibly bold step of setting a deadline for finding a cure – Jan. 1, 2020. As the coalition said when establishing its goal – hope is a wish. But the deadline is a commitment. Let’s all help get there. Even now, six months into my cancer diagnoses, it all seems surreal. I lay in bed at night thinking - is this really happening to me? Cancer is something that happens to other people, nameless, faceless people. People who make up statistics I will never truly relate to because it's not me, or my life, or my family members. Except now as I lay in bed with my head on the pillow unable to sleep some nights, I lay there bald, with no eyebrows, no eyelashes, a scar on the left side of my chest, nauseous from my latest round of chemotherapy, and short of breath. So yes – this is really happening. And yet, if it weren't for the fact that cancer could end my life and take me away from my two year old son, who I love more than life itself, cancer is probably one of the more remarkable things that has ever happened to me - because it has changed me in so many ways for the better as a human being. The fear of losing my life is profound and constantly present. And in my worst moments, it keeps me awake all night long. But cancer has also taught me so much about what is valuable in life, enriched my relationships with so many people, brought new people into my life - and more importantly when stripped of all vanity - your hair, your eyelashes, your breasts - all that remains is the true essence of a human being, the spirit, the personality, and the smile. And that's when you really learn about yourself, about your true friends and about goodness, endurance and grace. Taking this journey as a single mom has been challenging, unique, and frightening. Now every moment with my son means so much more. And when I look at him I wonder if he will have to grow up without me, knowing he is already without a father. And it has meant pushing myself that much harder to get better because he needs at least one parent who loves him, who will guide him through life with affection and support and be his cheering squad. And on those days after chemotherapy when I have barely any energy and its just him and I at home alone, cancer means allowing myself to not be super mom for the time being, not busily shuttling him to the latest children's museum or play date, but just being ok with cuddling together and watching a few extra Caillou cartoons. And that's who I am really writing this blog for - other single moms who may be suffering from cancer. Because I have learned so much already. And I’m sure I have so much more to learn as this journey continues. Already I’ve come to realize a few important things. ﻿﻿﻿Doctors, good and bad.﻿﻿﻿ When I look back on the first few months of my diagnoses, I feel like I was walking around in a daze, not totally engaging in what was happening to me, hoping it would all quietly and painlessly go away, like a sore throat or the flu. That was the wrong approach. Get engaged in this process that is your health care. Pick good doctors. Fight to get good doctors if need be. A good doctor is going to make all the difference in the world on this journey. And a bad one will only cause you needless stress and delay. One of my doctors gave me his personal cell phone number so I could text him on the weekends when I was having painful, recurring infections after my first surgery. He would meet me within 20 minutes at his office if I was having a problem on the weekend, just so I would not have to go the emergency room and be seen by someone who wasn't familiar with my case and might make a mistake in my treatment. This doctor taught me the true meaning of compassionate care and renewed my faith in the profession. I highly recommend finding one just as good as him, who understands just how much you are going through. There are great doctors out there and bad ones. I've had both so far. Do your research. Look at the reviews about doctors online. And make sure you assemble your own handpicked support team of doctors who you feel comfortable with, who make you feel like they’re in this fight with you and who are going to give it all they've got. ﻿There will be embarrassing moments. ﻿Get used to it. There are moments when a neighbor will pop by my house unexpectedly, one I don't know very well, who doesn't know I have cancer, and I'm sitting on the living room floor playing with my son, without my wig. Completely bald. The first time it happened, I was mortified, being a girl who used to spend hours in the bathroom fixing every last hair on my head. The second time it happened I wanted to kick myself for leaving the front door open once again. After that, I figured - well, my secret is out. The world will just have to accept me as I am for now. And after that, I began taking walks in the neighborhood without my wig. And when a little girl stopped to ask me - "How come you don't have any hair? Are you a girl or a boy?" - I didn't even flinch. The old me would have crumbled into a mess of tears, vanity and embarrassment. The new me was just happy to be alive another day. Who cares about hair? And besides, it's all temporary. Hair grows back. Go easy on yourself because if you don't, you will be sorry. You will end up on the floor throwing up. I did. Chemotherapy is an animal unlike any other. Respect it and don't push yourself too hard. After my second round if chemotherapy I thought I was feeling pretty good. So I decided to spend nearly an entire day at the park with my son, taking him on every slide, swing and set of monkey bars. And I skipped taking my nausea meds I was feeling so good. I paid for it the next day. I spent about 12 hours with my head alternately perched over a bucket or the toilet bowl, vomiting. Lesson learned. Take cancer, and chemotherapy seriously. And that lesson has been repeated a million times in a million smaller ways as my treatment continues, with the hot flashes from the chemotherapy that keep me awake, the swollen, bruised arms and scarred veins after each round of chemotherapy, the days when I’m beyond frustrated with how I suddenly feel like a 90 year old thanks to all my new health issues and frailties brought on by chemo. And then I remind myself of the alternative. Not being here anymore. And suddenly it all seems quite manageable. Simplify. I have just a few priorities each day now. They are - spending quality time with my son, taking care of my health and getting work done for my job. I have chosen to continue working during my cancer treatment because it’s my own way of fighting back and not allowing cancer to push me to the sidelines. But I do so with a very specific mindset - that none of it really matters. I don't say that with a lack of professionalism – but rather, I no longer stress about work related things the way I once did. Because in the grand scheme of things, it’s not important if a report gets done a day later. At the end of the day, my health is my first priority and not some proposal, or article that is due. If I am too sick or too tired from chemotherapy to produce the way I used to, then so be it. Living with cancer means being okay with your limitations and not feeling bad about what you cannot do. Find a cancer mentor. This may sound strange, but it’s critical. Find someone who has taken this journey that you can talk to about your questions and concerns. I have a very dear friend from high school who traveled this road first, had cancer much more serious then me. And without her, I don’t know where I would be. She has patiently spent hours talking to me about all the things I need to know, such as what kind of wig to get, what kind of symptoms to expect, and what kinds of questions to ask my doctor. Thank you Julie. So what's the moral of my story? I don't know yet. I don't know where this journey will continue to take me. I'm only half way through chemotherapy and have the hardest part still ahead - 12 more weeks of chemo every single week instead of every three weeks as it had been up until now. And then I have three more surgeries left - to remove lymph nodes and undergo reconstruction. But I remain thankful and blessed. I'm thankful first and foremost for my son and for my life each day. I'm thankful for the tremendous outpouring of love and support from my friends and family, the renewed friendships and the deepened friendships. I'm thankful for each passing day I'm still here, fighting to be the best version of me. And I'm thankful for each day I come home, open the door and hear my son say - "mama!" And then he reaches up, puts his little hand in mine and says "Come on, mama" in his soft, sweet little voice. Aidan's mom, journalist and cancer patient.